Just when I start complaining that the Tigers keep trading away some of my favorite prospects and Whitecaps alumni, they do something like this. And totally redeem themselves! Friday night Detroit acquired Cameron Maybin from the Atlanta Braves for relief pitcher Ion Krol and Gabe Speier. With the loss of Rajai Davis to free agency, Maybin fills that gap nicely as he can play for center and left field. He had the best season of his Major League career in 2015, batting .267, with 10 home runs, 59 RBIs, and 23 stolen bases. Maybin was originally dealt to the Florida/Miami Marlins in the deal that brought Miguel Cabrera to the Tigers in 2007, so there’s no way I can complain about how that deal turned out! Speier did pitch in 33 games for West Michigan this season, however, posting a 2.86 ERA while earning four wins, to two losses. We wish the best to both he and Krol with the Braves organization. 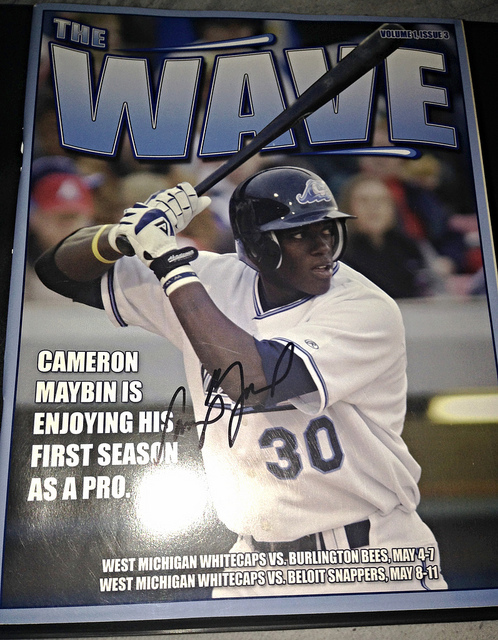 A Whitecaps program that Maybin was nice enough to sign for us in 2006. Maybin played with the Whitecaps during the 2006 season, helping the team win the Midwest League Championship. He hit .304, with 20 doubles, with 69 RBI’s and 27 stolen bases on the season. 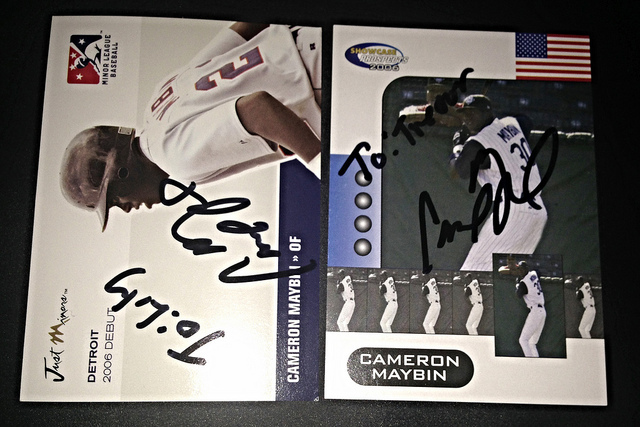 I wasn’t running the blog back then, and didn’t think to take any pictures of the kids with him (and no camera on my phone, either…), but Maybin was nice enough to sign some items for us. 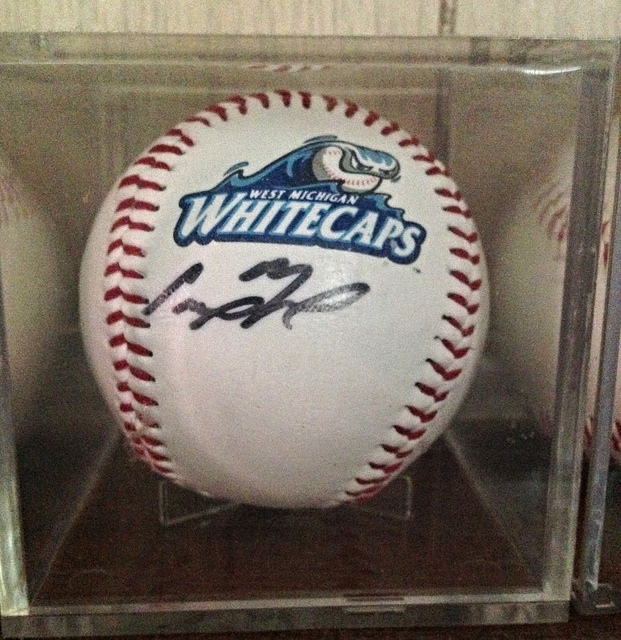 He signed a baseball card each for Lily and Trevor (Brian wasn’t even BORN yet…), and a Whitecaps ball and program. He was really nice to the kids then, and we’ve continued to be fans and track his career. It’s good to have him home, back in Detroit, and I hope he can contribute and help the Tigers return to their winning ways. I think Al has done a good job so far with the players he’s picked up.